Home - Site de 1518524924 ! 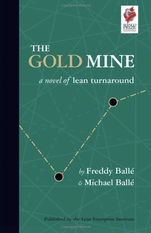 Read the lean novel, The Gold Mine and discover how to lead kaizen firsthand in order to lean to see your own workplace completely differently, "with your hands" by improving things for your customers with your teams directly, and figuring out what your challenges really are - and how to overcome them with the people who do the work themselves. Check out the masterclass here. In the sequel, The Lean Manager, you'll learn how to develop a new kind of management system in order to encourage and support kaizen from everyone, everywhere, all the time. You'll find that people, with their personalities, motivation, abilities are the key to outstanding results by aligning their success with the company's success through the right use of the lean tools. You can also follow the masterclass here. 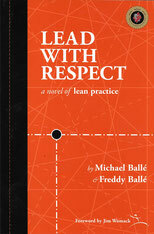 In Lead With Respect, discover how to develop the lean leadership to inspire your organization to grow a true lean culture - from individual mastery to collective learning and innovation. Find out how to support initiative and ingenuity to find a better way and nurture the right talents through the ranks to create an outstanding team of lean leaders, who will take your business to the next level. Find out more in the masterclass here. 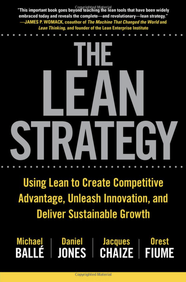 Lean is a full business strategy. 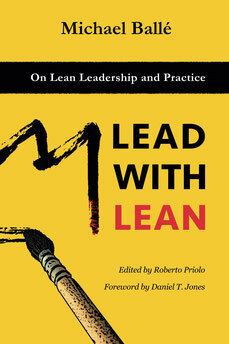 Successful lean leaders taught us that, In a volatile, uncertain, complex and ambiguous world, lean thinking shows you how to orient yourself by finding the key challenges, then lead others by facing these challenges, framing them in a way all can understand and forming solutions together, by encouraging initiative, creative ideas and rigorous testing of what works and what doesn't. It's a dynamic, people-centric strategy to eliminate waste, generate capacity for innovation and manager learning curves rather than action plans. 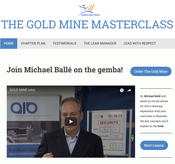 Michael is a keynote speaker, business writer and executive coach with twenty-five years experience in lean research and practice. 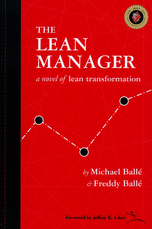 Associate researcher at Telecom Paristech and co-founder of the Institut Lean France, he has co-authored The Lean Strategy, Lead With Lean and the Gold Mine trilogy of lean novels The Gold Mine, The Lean Manager and Lead With Respect and the Gemba Coach column at lean.org.